To learn why you should join our link trade program click here. 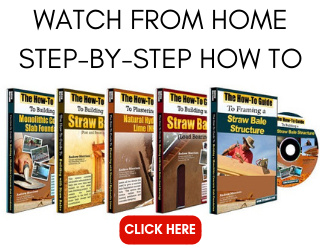 This is an excellent article on Straw bale construction, straw bale building and straw bale houses. This well done article really showcases pictures of straw bale houses from https://www.strawbale.com and uses me as a named resource on a lot of data! Surfin’ Strawbale – One of the oldest and biggest lists of strawbale links on the web. Organicforms Design practices ecologically based straw bale design. They look to nature as a primary influence that gives a project with a sense of belonging and a compelling transition to the space surrounding it. www.GreenHomeBuilding.com provides comprehensive information and resources on all aspects of natural building and sustainable architecture. A panel of experts is available to answer specific questions that you may have on these topics. DirtCheapBuilder.com Build your own low-cost, earth-friendly, high-efficiency home! BuildEarth.org/ News and Content for the Green Builder. The Last Straw Blog the international journal of straw-bale and natural building. On this site you will find articles from current and past issues of The Last Straw as well as original content. www.strawlocator.com. This is a place to buy or sell straw bales and find hauling for the same. Good asset for bale builders. Your one-stop destination for anything you can think about construction. This Construction Directory is designed to help its users find the construction information, articles, source, companies, products and services. A Comprehensive guide to outdoor buildings AGardenBuilding contains over 60 articles written by our experts who continually update and add new content. Development Center for Appropriate Technology: DCAT works to enhance the health of the planet and our communities by promoting a shift to sustainable construction and development through leadership, strategic relationships, and education. 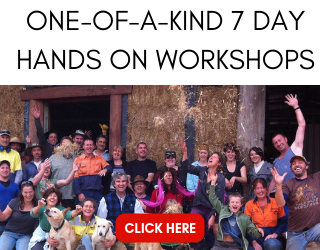 Authentic Straw Bale Construction Ltd have a wealth of experience with earth block, rammed earth and straw bale construction projects, working with customers all over the South Island to address their needs. Click the link below to get the lastest info on straw bale fire testing. You may have to look on their home page for the actual fire testing page. Are you involved in the straw bale industry? Do you want to expose your products and services to thousands of people? The Straw Bale Resource Guide is a professional network service that puts your name and services in front of thousands of our visitors. The Resource Guide is organized by state and therefore provides you with a very targeted customer base. 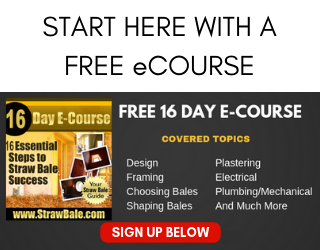 It is part of our mission to increase the awareness of straw bale construction and building techniques and we want to make it affordable to advertise your services with us. Click Here for More Details.